Ideally, a business should operate during regular work hours only on weekdays. Well, that’s in the land where customers do not need instant support and fast delivery, in the place where deadlines are unheard of and all services and productions happen during the day. Businesses need agility and one way to achieve business’s objectives is to implement overtime in the workplace. The truth is, if life doesn’t demand overtime nobody wants to volunteer for overtime. It’s undeniable that working overtime can earn staff some extra money but it also can take a toll on employees. When work couldn’t be completed in the provided time period, but the deadline is nearing, overtime works as a savior. This happens when there’s a mismatch in workload and workforce; too much work to be done by too little people. This situation could be temporary for example, a company that needs to implement overtime to handle the incoming stock or a sudden surge of sales during festivity period. It could also be a permanent situation whereby your company does not employ enough manpower to deal with your business’s demands. While the first one can be corrected or managed by overtime, it’s much better for a company to resort for a better solution by employing more staff to match the requirements for the second scenario. Forcing your employees to work overtime at all times can lower down the morale and the overall productivity. Overtime also can result from too many meetings, too many emails and too many distractions. At the end of the day, employees need to do what they need to do and when the time required for them to do their jobs is replaced by meetings, answering emails and office distractions, they will find a way to finish their job by taking overtime. In situations like these, managers need to pay attention to the activities assigned to their team in the office to make sure that employees get ample time to settle their required jobs. Overloading your staff with office activities that are not productive is not the way to go to achieve excellence. Cut backs on meetings, simplify email replies and identify areas of distractions in the office to make your staff more focused on their tasks. However, in lesser circumstances, over striving staffs also like to take overtime willingly because they want to prove their worth to the company. My life is my work and my work time proves it, so please let me climb the (corporate) ladder. It wouldn’t become a problem if a company allows overtime and happy with these over striving employees. Nonetheless, various researches have proven that spending too much time in the office could be unproductive and shouldn’t be encouraged because it’ll cause the staff to overwork and not performing at his/her ideal rate. Manage your workforce’s overtime by fixing its causes. The objective is not to eradicate overtime but to keep it at a minimum to control cost and to maintain employee satisfaction. 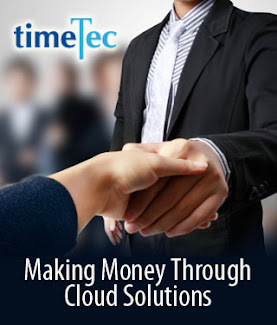 TimeTec TA provides a tool to manage your business’s overtime by allowing you to set the rules and schedules that favor your company. 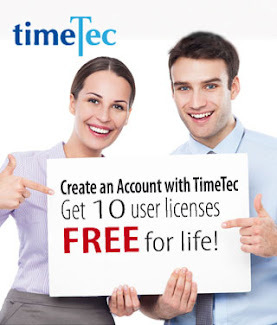 Give it a try by signing up with us at www.timetecta.com and get 10 user licenses free for life. Note: The writer does not apply for overtime to write this blog entry.